Easter and Passover are fast approaching and I don't know about you but for me this means chocolate, chocolate and more chocolate! What's not to love about all the delicious treats that come along during this time of year. Like who doesn't love a chocolate Easter bunny or chocolate peanut butter egg, am I right? Easter is right up there with Halloween in terms of a "sugar overload" holiday and that my friends is not something that I am 100% down with. 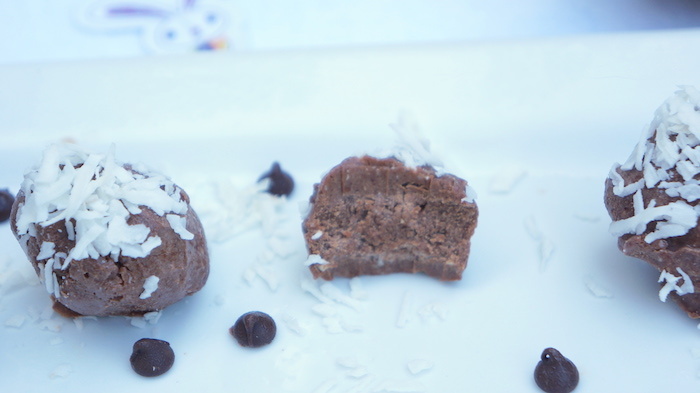 So as a true chocolate lover, I went ahead and created an incredibly rich chocolate treat that is also sugar-free as well! Chocolate bliss and health all at the same time. 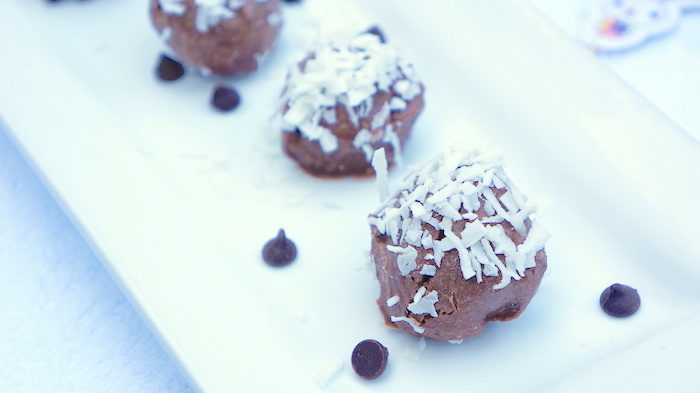 Not only do these taste amazing and are easy to make... but they are low-carb, Paleo, grain-free, gluten-free, dairy-free, vegan, refined sugar-free and keto friendly. I think we covered it all there folks so these are a must try for all to enjoy. This is one of my favorite recipes ever (similar to a fat bomb for those of you familiar) and I make them on a weekly basis! 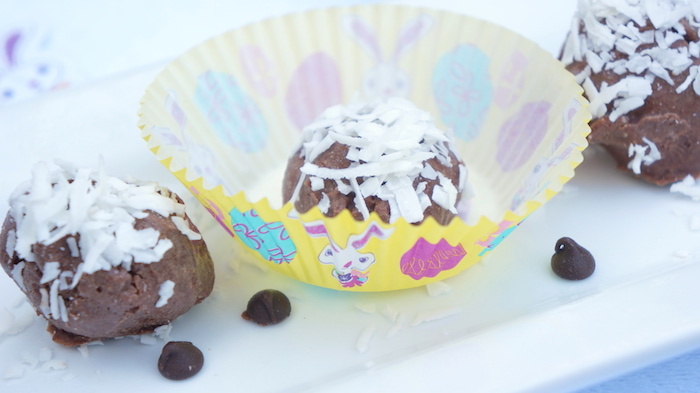 Like I said, perfect for Easter or Passover but also for a healthier chocolate treat anytime! The key to why they are so darn good and also good for you are the healthy fats including coconut oil and almond butter. I love Now Foods® Organic Virgin Coconut Oil and it's perfect for any recipe you can think of. 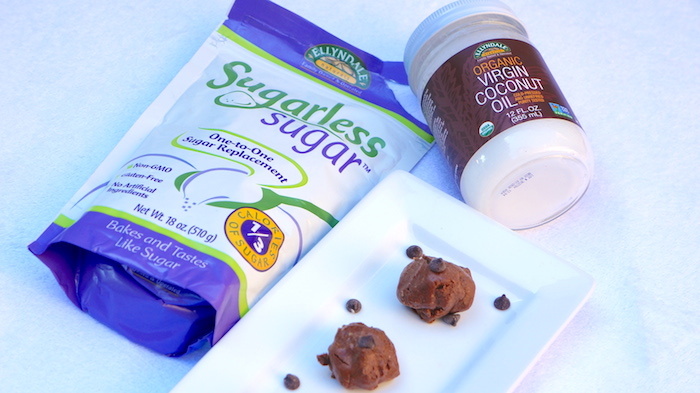 Also my go to sugar substitute that I like to use is Now Foods® Sugarless Sugar and it's just like the real thing - only better. So give these a try and tell me what you think. They take no time at all and another bonus is you just use one pot. MAKE SURE TO CHECK OUT @NOWFOODSOFFICAL ON INSTAGRAM AND FACEBOOK FOR TONS OF HEALTHY IDEAS, RECIPES, PRODUCTS & MORE! THIS IS A SPONSORED POST BY NOW. ALL MY OPINIONS ARE MY OWN. Over medium heat and a small pot, melt and combine the almond butter and coconut oil. To the same pot, add dried ingredients (cocoa powder, almond or coconut flour, sugar sub and salt) and stir until well combined. Allow mixture to cool slightly and test to determine if additional sweetener is needed. Add more if necessary. Pour mixture into a bowl and transfer to freezer to solidify, around 1-1 1/2 hours. 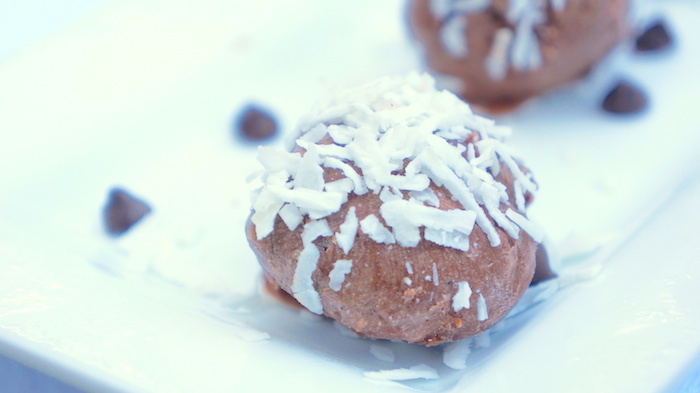 Note: You can also pour the mixture in a mold and then place the coconut flakes after if you would like to skip the rolling into balls step. Once almost hard, remove bowl from freezer and form in the balls. Tip: wash your hands under cold water and wipe with dry paper towel to avoid coconut oil melting in hands. Next sprinkle with unsweetened coconut flakes. Next, place balls on a flat tray and return to the freezer for 15-20 minutes. Enjoy! Made your "Moni Quinoa Mac N' Cheese" last night and it was great! Even the Grand kids loved it! Thank you.